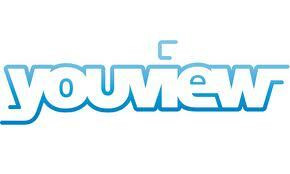 Is YouView On The Horizon ? Three years late, it seems that YouView might be making an appearance on a set top box near you soon soon (if you're in the UK). Frankly, by now YouView should be an app, not a TV platform, but in these recessionary times, anything that helps push Freeview is probably to be commended. And anything that potentially improves on the user experience of Sky and VirginMedia I will grab with open arms. Over the past month my Tivo VirginMedia box has been crashing every time I open the Spotify app on it (I mean shutting down and then taking 10 minutes to boot from scratch) - it would make Bill Gates proud..
As TVs become more like computers they behave more like computers - complex, confusing, buggy. So, will YouView change this. Will it at least let you remove channels you don't want to watch from your EPG, my biggest bugbear with EPGs ? I'm not holding my breath. Meanwhile, Liberty's Horizon box, based on the much more ubiquitous Hbb.tv standard is also set to launch imminently for UPC clients across Europe. And why hasn't Freeview launched an app for its service ? It has left the field open to the great guys at TVCatchup, despite their dubious legal position (my lawyer has asked me to add that). Why does it all take so long in telly world ? And by the time it arrives it's out of date. Zeebox proved that it doesn't need to... perhaps that's why Sky snapped them up.